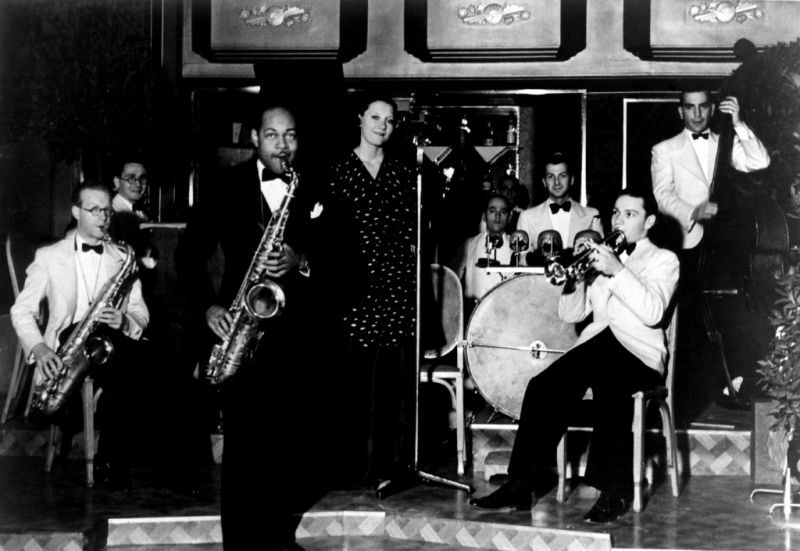 Ada “Bricktop” Smith, a lively Vaudevillian and beloved Jazz Age Performer, owned “Chez Bricktop”, the hottest Jazz Club in 1920s Expatriate Paris. 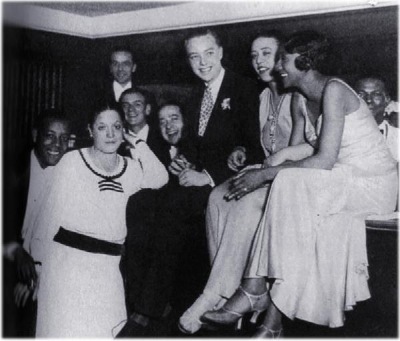 Hemingway, Zelda and Scott Fitzgerald, Cole Porter, and the Who’s Who of Parisian Society flocked to “Chez Bricktop” to learn the Charleston, Drink champagne. and have a one of a kind nightlife experience. A fanciful rumor mill from its inception, Ada, aka Bricktop for her flaming brick-red hair and freckled face, created an escape from the city in the middle of the city. It was a time of great extravagance in Paris, Gatsby sized parties, intimate impromptu performances by Josephine Baker or Maurice Ravel on the Chez Bricktop Stage, a Joie de Vivre Club where socio-economic, cultural, and social classes melted away upon passing through the doors, and at a time of widespread division and social unrest all over the world the spot was a God Send to locals and vacationers alike. 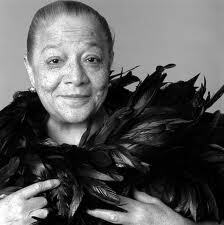 Everyone was welcome at Chez Bricktop, Ada encouraged all who visited to bring their dancing shoes and party hats. “Bricktop,” a skilled musician and dancer in her own right, used her Harlem and European connections to bring in the finest acts in the world regardless of genre or resume, creating a menagerie of entertainment and socializing without borders. Several biographies for the Fitzgeralds and the Porters mention Ada and her “saloon”, Woody Allen even stops by Chez Bricktop as Zelig, in his movie Zelig, to see if Cole Porter, who happened to be there, could come up with a rhyme to match his name to no avail. Though “Chez Bricktop” closed its Paris doors in 1961, the legendary club and its flamboyant Owner continue to inspire and pop up in print and on film. Monday’s dinner service will be the first official day Bricktops is open for business after months of construction and endless training. If you remember the location as the second Island Amici’s manned over by Mauricio, you are in for quite a shock. The place has been completely redesigned with an open kitchen, luxurious booths, perfect lighting, and a truly dazzling marble “U” shaped bar connecting inside and outside to the location’s trademark patio. Having done some investigating on my own, I can tell you this, the restaurant has something for everyone, and if you went every day of the week, you could get a completely different, yet equally exceptional experience. Sit on the patio with some of the freshest sushi you can buy on monday, business steak dinner in the dining room Wednesday, Thursday burgers with the kids in a giant booth, and Friday after work drinks while watching the game at the inside bar, Saturday night pre theater date with salads and apps at the outside bar, and Sunday brunch with a Bloody Mary along the front windows. This is the truth, and being someone who dines out six nights a week, this is perfection. Since moving full-time to the Island last summer, I have been lurking around watching the building transform from the inside out, checking out the solid menus, chatting with the super excited staff, and even catching the Owners looking on with pride or suggesting a change here or there when needed. I like that these owners are 110% involved in every aspect of their new baby, and it’s obvious that every choice down to the smallest detail is on purpose. We have a nice stable of old and new dining establishments on the Island, each its own individualized and unique personality and cuisine, and I can say that Bricktops is the new, unique kid on the block everyone is going to want to be friends with. 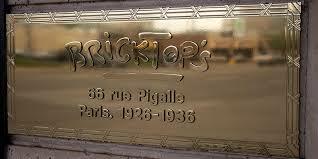 All of our restaurants are gems, and Bricktops is no exception. Eventually Bricktops will go from being the new Big Shot to a well oiled Island favorite, but for now I can assure you it will open with a splash and become a total Tsunami just in time for the Season. Make your reservations now, the first several weeks are nearly booked solid!